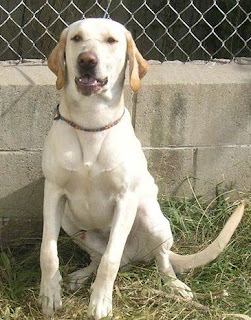 Linus the yellow Lab is the newest face at the shelter. He was picked up by Animal Control as a stray, so not much is known about his past. We've been told he is high energy, and we are looking forward to getting to know him so we can find him the perfect family.